My exploration of the the mysterious world of swimming continues apace and it’ fair to say, I’m pretty much hooked. I have an very addictive personality and tend to have extreme reactions to things either loving them or hating them or devoting all my time to them before ignoring them or changing my mind. Curiously, I’ve found that the more I do something the more I want to do it and conversely, the less I do something the less I even want to. It’s almost as though the act of participation itself fuels my passion and it fizzles if I don’t stoke the fire. For instance, if I’ve not ridden much, sometimes I feel very lazy and really can’t be bothered whereas if I’ve smashed a load of miles and ridden hard all week long, I just want to go again straight away! In my last post about #PedalToPool challenge I detailed what kind of training sessions I’ve been doing and reached out to Speedo for a little help as I really wanted some feedback and some ideas for more purposeful training sessions in the pool. I was really excited when the team invited me up to London for a one-on-one session with a coach as I really love being given help and finding out the right way to do things – I figure if you’re going to do something, you should do it properly armed with as much info as possible. I can spend HOURS researching training and stuff on the internet – I’m super boring like that. It was a big surprise when I met highly decorated swimmer Mark Foster and realised HE was going to coach me – talk about making me feel self conscious of my technique! 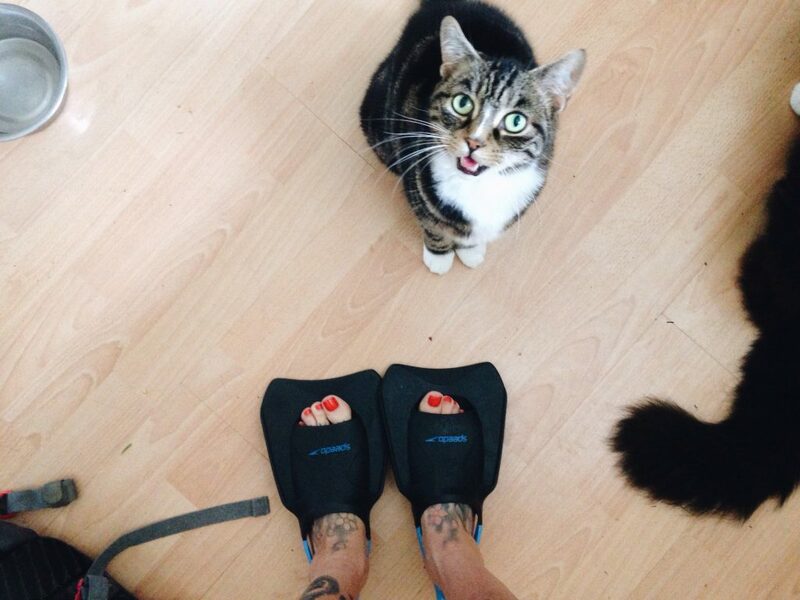 I genuinely had no idea whether he would notice I was doing something really, really wrong. 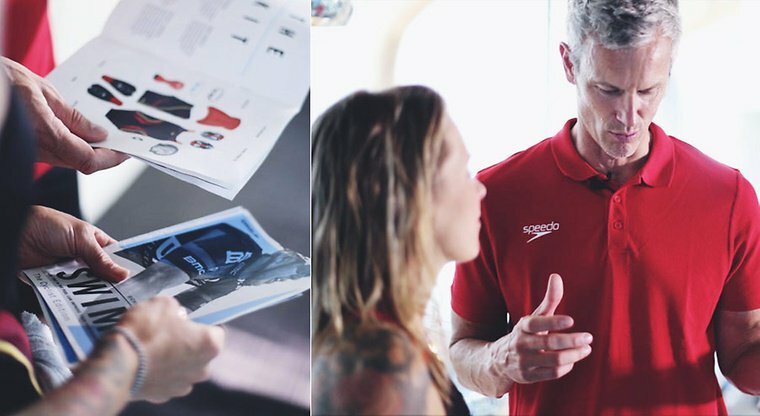 Read more on the Speedo website here and watch the video from the coaching session below. It turns out I was making enough mistakes that Mark ‘didn’t want to overload me with corrections and advice,’ so he decided to focus on a few. Hahaha! When swimming freestyle your hands should not enter the pool in line with your head, they should enter in line with your shoulders. I need to widen my stroke. You are not meant to keep your body totally flat in the water, it’s mean to roll. This was big news to me! When you push off from the side, you shouldn’t do it ‘like Superman’ with one arm outstretched, you should have both arms in front. You should keep your fingers slightly open and hands relaxed. You should be lose and relaxed rather than all stiff trying to swim perfectly. When it came to specific swimming training sessions that would be relevant to my cycling, Mark directed me towards Speedo’s Swim Coach training plans, which I’ve found a revelation. 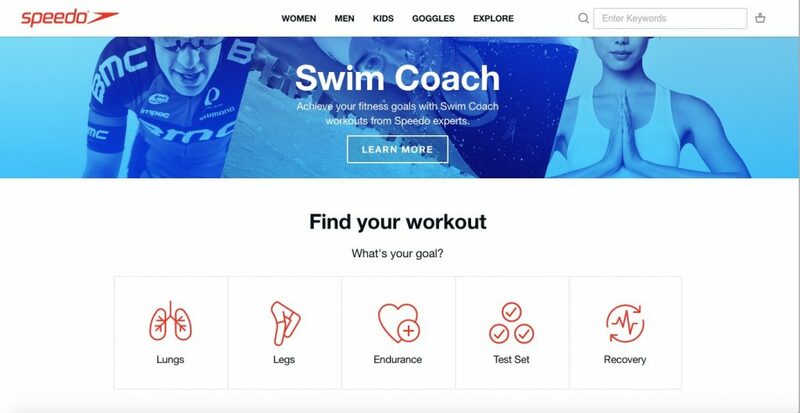 There are about 200 different swim workouts that deliver different things but what’s really cool is that you can select which sport you’re cross-training for and what kind of thing you want to work on then download a relevant session and print it out. The only problem I’ve found is my workout tends to get wet or blow away when I’m swimming outdoors! Swimming using a ‘pull buoy’ between my legs and just using my arms has been hard to master but has forced me to improve my stroke – it highlighted how short and inefficient it was. Using a kickboard without flippers is probably the least fun as it takes me about ten years to do a length, but I can definitely feel it in my legs so it must do some good. The snorkel they gave me has remained in a cupboard as I’m too self conscious to use it at the pool, but maybe I’ll take it to Barcelona as I’ve planned some swims over there. The city is home to some lovely looking pools including the Olympic pool at Montjuïc that has incredible views down to the sea. Club Natació Atlètic Barceloneta looks like another banger that I’ll have to visit whilst I’m in Barcelona racing Red Hook Crit. But even more exciting, I’ve just read about the Vies Braves, a series of marked sea swimming routes along the Costa Brava designed to provide a safe and enjoyable way to enjoy the sea (read more about it on the Guardian.) Apparently you can sign up to join guided swimming sessions, either enjoying a one off swim or making your way all the way along the coast, which sounds pretty awesome. I find the website slightly confusing so I think the nearest swim to Barcelona is Port Ginesta which might be a little far, plus I can’t find a swim that coincides with my visit, so we’ll see. Fingers crossed I can join one – I’ve never done more than bob about in the sea (and surf) so I’m intrigued to try a proper swim.